There is so much that can be done to make you more comfortable and safer to stay in your home as you age. We keep current with new products in this area and have worked with many vendors over the last several years. 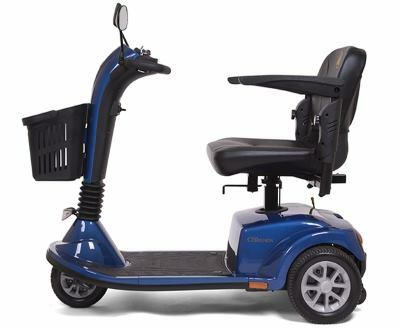 We have resources for stairlifts, scooters, and roll-in showers as well as all the more common items such as grab bars, lighting improvements and ramps. We can do a full assessment for you or your parent and make recommendations for the safety improvements you need to make now and possibly in the future. Give us a call at (207) 632-5228 and let's get the assessment scheduled. We are consistently researching and interviewing top vendors in their respective fields. We select only the top suppliers that provide state of the art designs in addition to durability and affordability. We are pleased to provide you show you some of the suppliers we work with and their product lines. Something we take for granted but should not be overlooked is proper lighting in a home as we age. There are many variables and factors to consider in order to create the safest lighting possible into a home. We can assist you in choosing the safest solutions with lighting controls and automatic shading as needed. We are happy to work with Lighting Concepts as they offer experienced ALA certified lighting professionals to assist us with your lighting needs. The fixture itself is important that the effect that lighting will have in each room and hallway is important in your home. 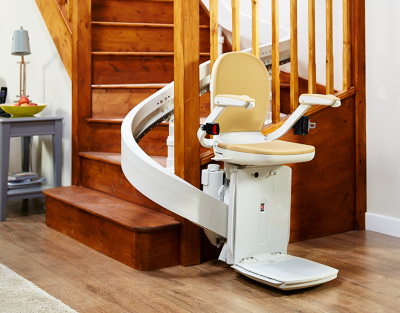 We have installed a number of Acorn stairlifts. No longer do you have to move your bedroom downstairs. Stairlifts can work around curves and more. 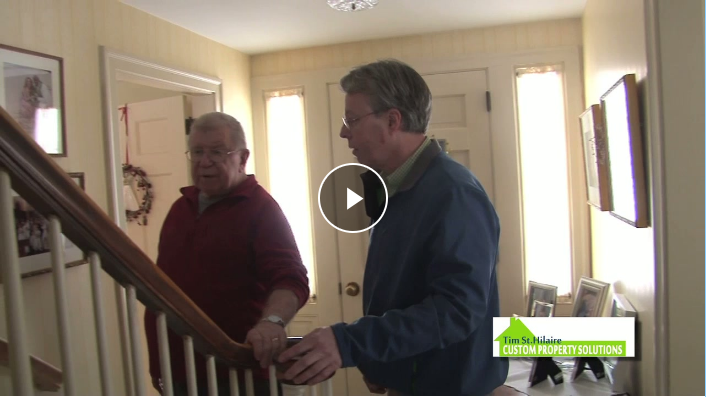 We offer a rental program for stairlifts and we will even remove and recycle your stairlift. Ella’s Bubbles has spearheaded the development, production, and distribution of accessible products since 2005. You will find and welcome exceptional craftsmanship, world-class customer service, and creative insights into your home. 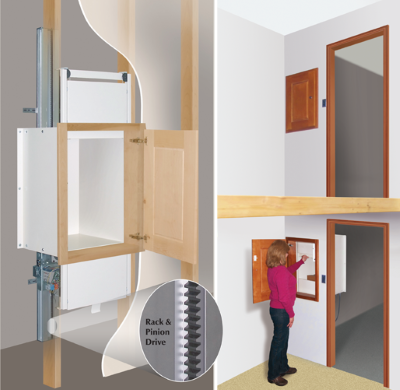 If you have someone to care for that has difficulty getting in and out of bed or the bathtub, a ceiling lift may be the answer. Or maybe you have steps into your house or between rooms and floors, we have solutions for that also. We work with Guldmann and Stepless by Guldmann to install their quality lifts. 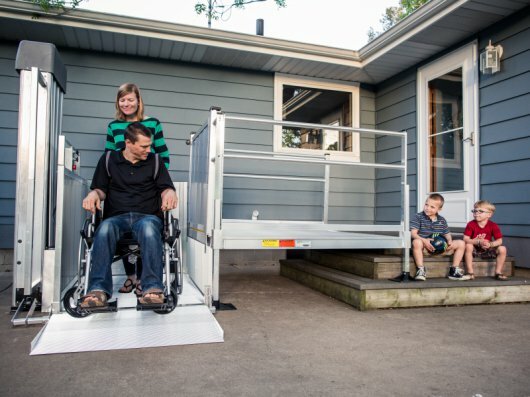 With mobility issues, a ramp often becomes a requirement. Ramps need to be carefully designed to meet industry specs. They need to be sturdy and safe. We often get the ramps we install from EZ-Access. They also provide platform and patient lifts. Doors can become an issue if you use a wheelchair so why not replace what you have with a beautiful, wider door? We are pleased to work with the world’s leading manufacturers of doors and entry door systems. Masonite has an 80 year history of focus on leading-edge innovation and manufacturing excellence. The doors will enhance beauty, functionality and architectural design. Your residence will be a home of distinction. Older homes had dumbwaiters and now they are back - because they made sense! They are so useful! Put your laundry in. Put your cleaning materials in. 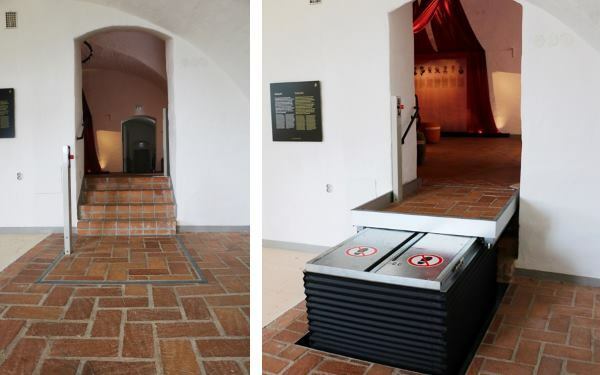 Leave your hands free to climb the stairs later. They can fit in small spaces but add so much functionality to a multiple story home. Railings don't need to be plain and ugly! They can be elaborate and gorgeous or as simple as you'd like them to be while serving a very good purpose - your safety when climbing stairs or hanging out on a deck on a beautiful day. The Endurance Railing family is a national bestseller when it comes to outdoor stair railings; thanks to sound engineering that enables easy and safe installations. Our railings are manufactured using the highest quality materials for each and every product. Our extensive Endurance railing line improves the appearance of any home or commercial space. Falling is a leading cause of injury among the elderly. How about using one of these stylish scooters to get around? One of the tasks we all hate is cleaning gutters. And it is so unsafe - fall from the ladder, get electrocuted and more! So let's set it up so that you don't have to do annual cleanings because you are using GutterBrush! 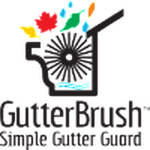 Tim St. Hilaire Custom Property Solutions is a Contract Partner with GutterBrush in Maine. He will insure you get the right size and do the installation. Gutterbrush is a simple solution to help solve the most common gutter problems. It keeps gutters flowing to present clogged gutters and water damage. It reduces or eliminates dangerous messy, gutter cleaning. It helps prevent icicles and ice dams. You can also avoid annual cleanings! ​Contact us Today to Make Your Home Safer!